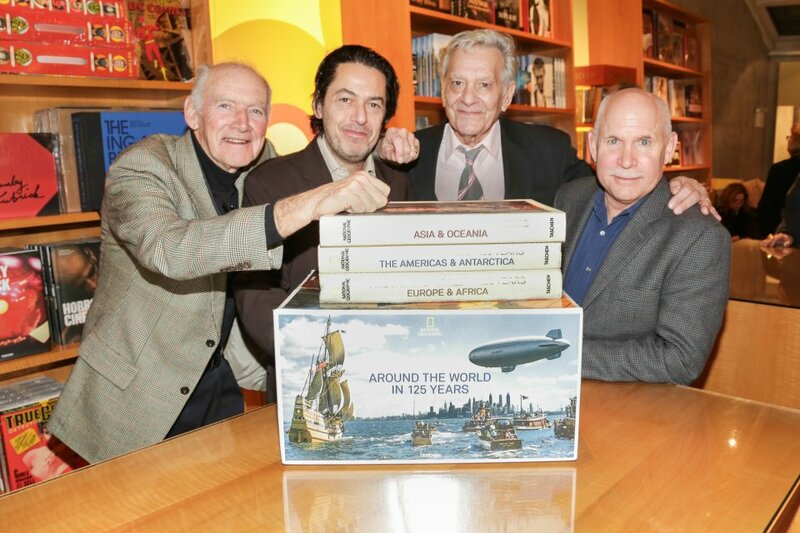 TASCHEN Store New York hosted the east coast launch of the heavily anticipated National Geographic. Around the world in 125 years limited edition set. Before a standing room only crowd of 150 that packed both the downstairs gallery space and balcony above, guests were treated to an intimate Q&A conversation with legendary photographers Steve McCurry, Jim Stanfield, and Tom Nebbia. The festivities began with TASCHEN’s own special consultant Larry Schiller sharing the origins of Around the world in 125 years, as well as introducing and thanking all 8 of the National Geographer photographers in attendance. After the introduction, TASCHEN editor Reuel Golden asked McCurry, Stanfield, and Nebbia poignant questions about their time at “The Geographic”. They all told tales of their many adventures as well as talked about their images that are some of the most recognizable of 20th and 21st century. 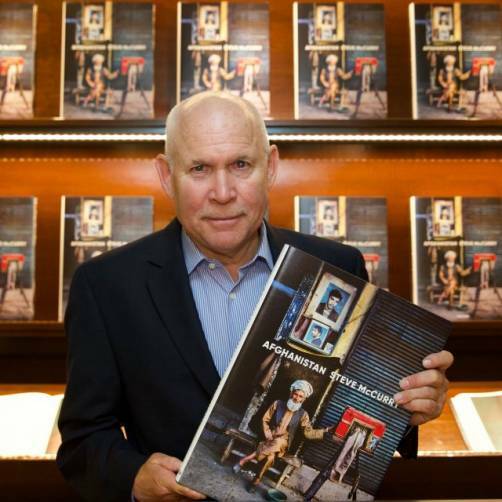 Special thanks to all of our National Geographic guests in attendance, Steve McCurry, Jim Stanfield, Tom Nebbia, Mike Yamashita, Ted Spiegel, Justin Guariglia, Fritz Hoffman and Ira Block for doing their part in being the windows of the world for the last 125 years.